A new ridesharing company called MOIA is presenting its vision for an environmentally responsible shared vehicle. The MOIA concept is the world’s first all-electric van designed specifically for use in car pooling. The MOIA van can accommodate six passengers. 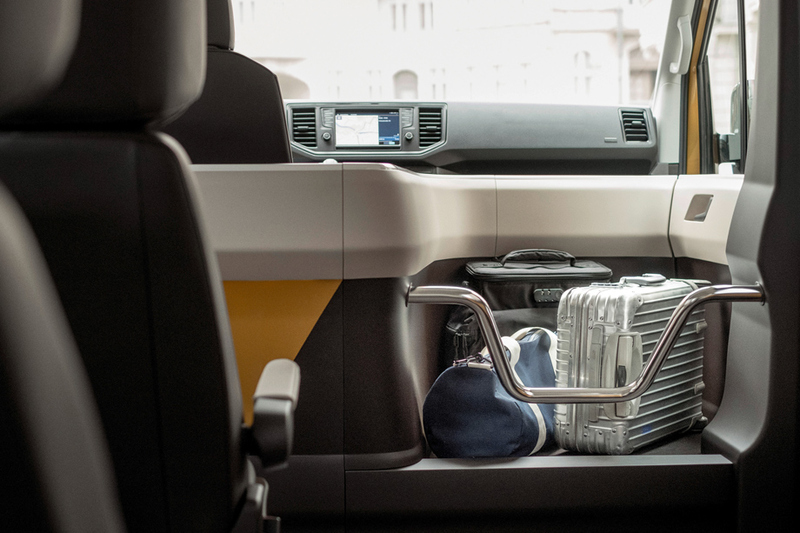 The interior was designed to give a maximum amount of personal space to each rider. There is a wide center aisle allowing easy access for passengers in and out of the rear seats without disturbing other occupants. The seats are designed with a high back headrest that helps isolate each passenger from ambient noise inside the vehicle. Each seat also has individual dimmable reading lights and USB ports. 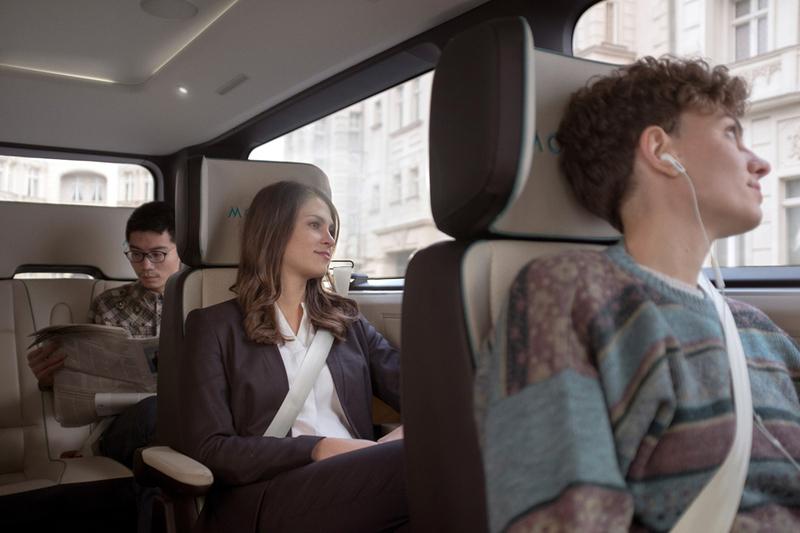 The MOIA van generates its own high speed Wi-Fi network, and a central interior screen displays arrival information for passengers on board. Luggage and bags are contained in an open bin next to the driver. The area is accessible to all passengers entering or exiting from either side of the van. MOIA, which is part of the Volkswagen Group, has a goal of reducing traffic. It eventually want its vans to fulfill a mission of eliminating “One million cars off the road” in major cities in Europe and the U.S. by 2025. In most cities, MOIA would replace gas and diesel cars, improving local air quality as well. 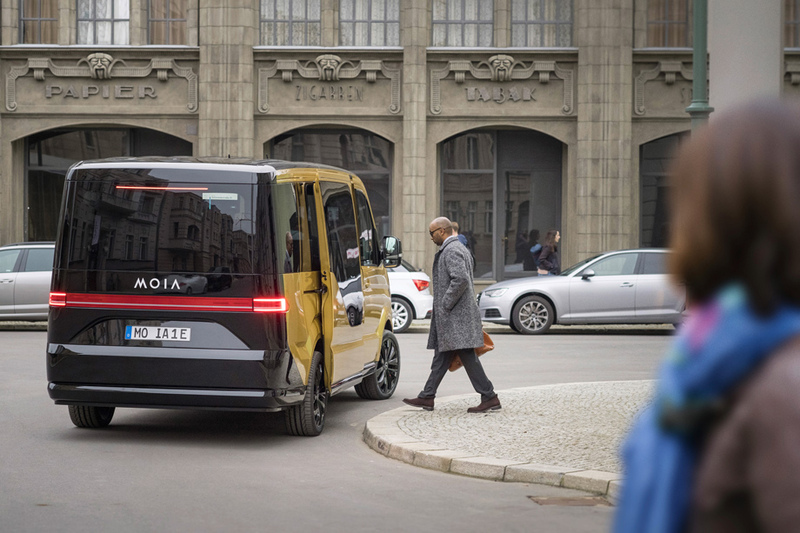 MOIA will launch production for the van at the end of 2018 in Hamburg, Germany. Future models will have the ability to be custom tailored to specific market or operator needs.